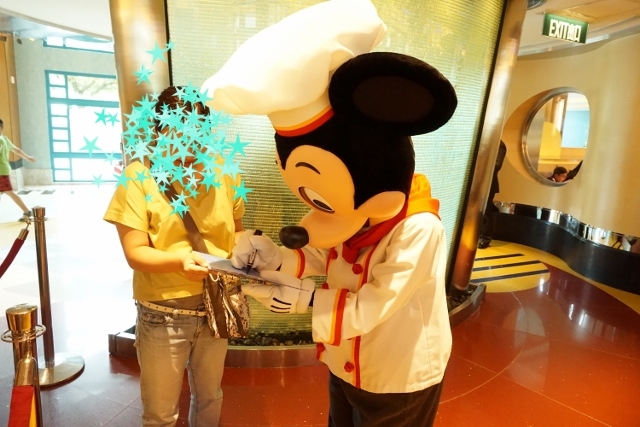 Trip to Hong Kong Disneyland in August. Our breakfast on Day 2 was in Chef Mickey. 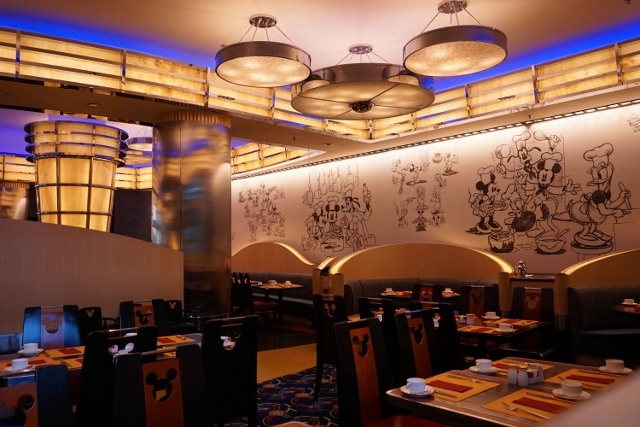 It is a restaurant at Disney’s Hollywood hotel and you can meet Mickey Mouse there. According to a cast member, reservation is not accepted in the morning, but plenty of seats are available always until 9:00am. 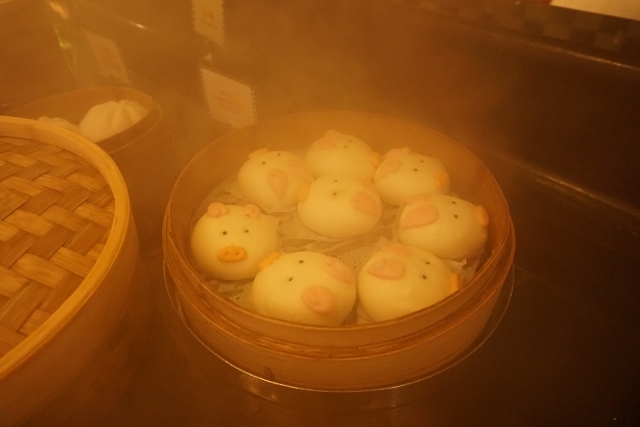 It was buffet style, there were roasted pork bun like a pig face (I realized that I was in Hong Kong!) 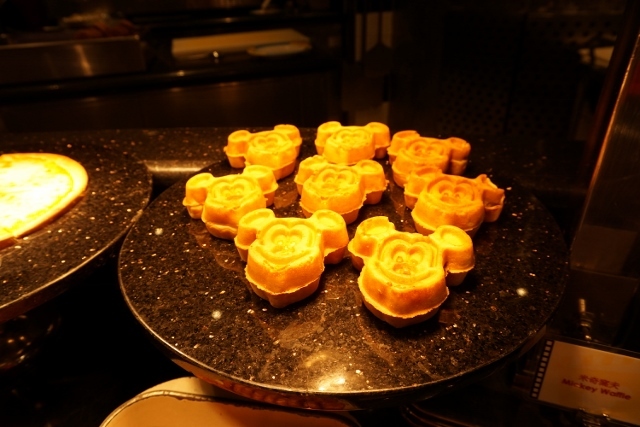 , Mickey shaped waffle and so on. Around 8:00am, Mickey Mouse came with happy music. He walked around the restaurant quickly and stood near the entrance. The system was, when guests wanted to meet and greet him, they went to his place with a small greeting ticket on the table. The chance is only once, but there was enough time for greeting, having autograph, taking pictures (not only 1 but so many! ), kiss and hug. The price of the breakfast was 262HKD/person. To be honest, I felt something was missing because I could meet only Mickey, there was no show time. But it was good activity in the morning because opening time of Disneyland Park was 10:00am.